Chief Inspector Of Boilers, Assam Recruitment 2017 For Junior Assistant Post. Chief Inspector Of Boilers, Assam Has Published the Recruitment Notification for Junior Assistant Posts. Eligible Interested Candidates Can Apply Via Online Mode. Last Date for Submitting Online Application form 29 March 2017. 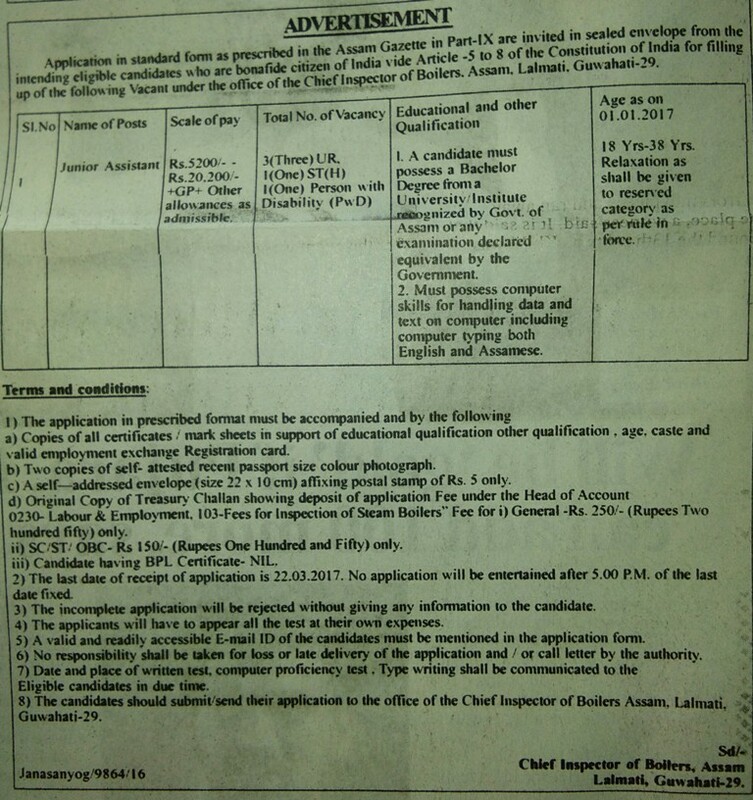 Salary- Rs.5200/- Rs.20,200/- +GP+ Other allowances as admissible. Educational Qualification- Candidates Must Have Bachelor Degree with Computer Knowledge From Recognized University/Board.